Imitations, excerpts, translations, arrangements: the Ward Collection is rich in variant versions. Here is a response to Franz Lehár’s beloved operetta Die lustige Witwe. 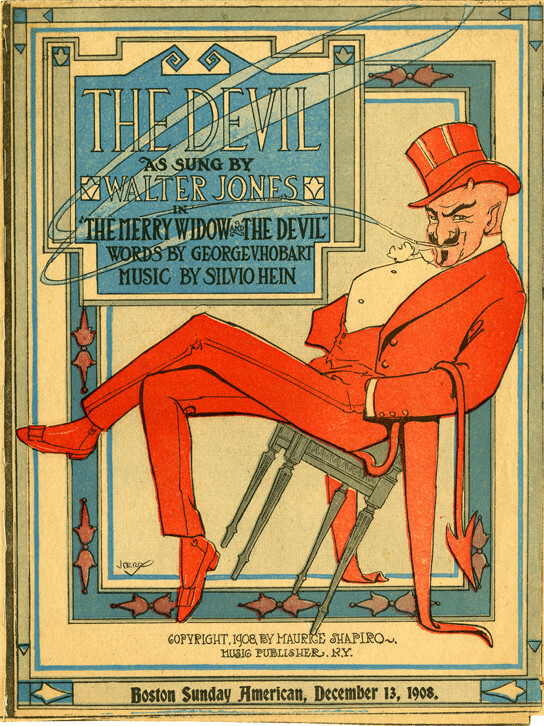 First performed in Vienna in 1905, it received its New York premiere as The Merry Widow in November 1908 and was already sufficiently familiar to Bostonians by December for this parody to be included in the Boston Sunday American. I am moved by this evidence of an unknown music lover, who carefully cut it out, folded it into quarters, then hand–sewed the spine with white thread.